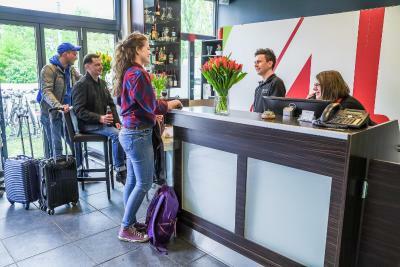 Lock in a great price for H+ Hotel 4Youth – rated 8.4 by recent guests! All was good. The best was location and breakfast (surprisingly good and above average). It was clean, comfortable, with basic amenities. Staff was helpful and kind. My good rate relates to the price and type of hotel, so obviously it is not a 5 star hotel, but it is absolutely up to the promise. 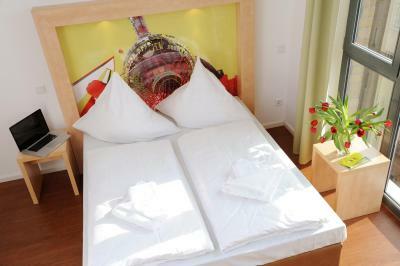 Great location, near the station, good breakfast, clean room and the receptionist very helpful. The breakfast was good. 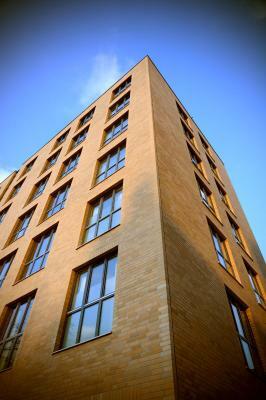 The property was located in a very good place, and you can move around by tram or bus. I will choose again this hotel for staying there. 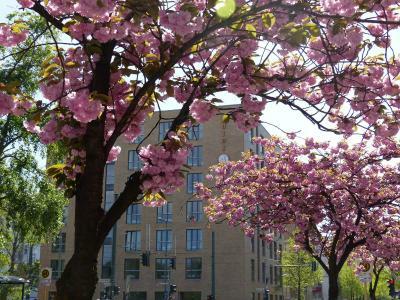 perfect stay, good avalilability of mass transport, also perfect for a short stay when visiting show in Max-Schmelling Halle. Super quiet and peaceful room at the end of the hallway. excellent location especially if you are traveling by trains. 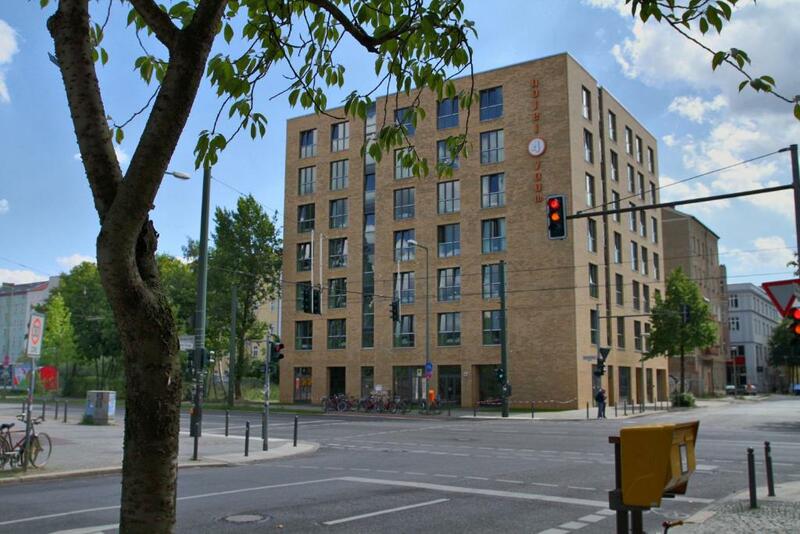 also very well situated with m10 tram right in front and and nearby u bahns within a couple of blocks. 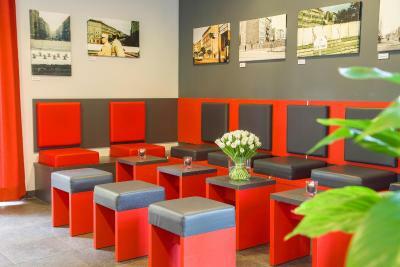 The staff are super friendly and the location is great and easy access to the public transportation. Room is clean and cute. Location is very near to the tram which make it easy to travel. 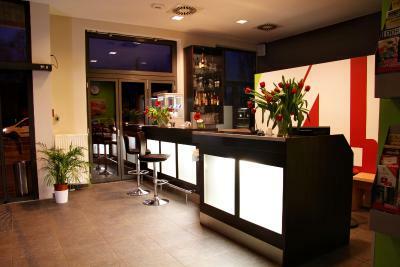 In the evenings guests can enjoy drinks at the bar. 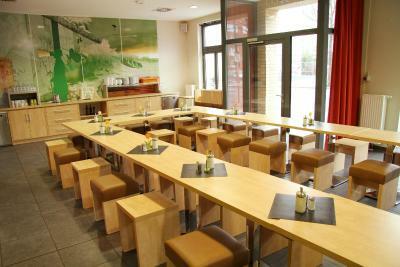 There are also many international restaurants and cafés within easy walking distance. 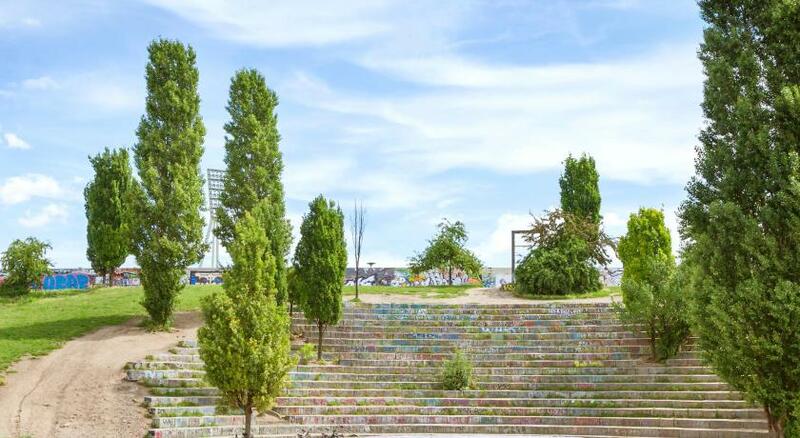 Located on the former border of East and West Berlin, the H+ Hotel 4Youth Berlin has been decorated with large-scale photographs displaying Berlin's history. 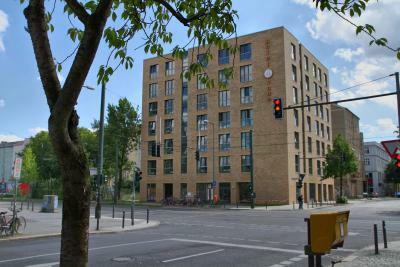 Bernauer Straße metro station a 7-minute walk from the H+ Hotel 4Youth Berlin, providing a link to Alexanderplatz in 5 minutes. 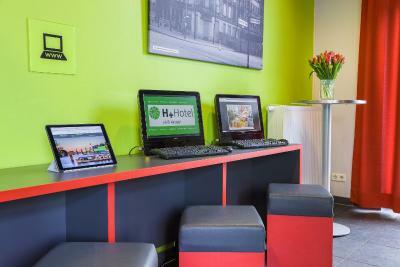 When would you like to stay at H+ Hotel 4Youth? 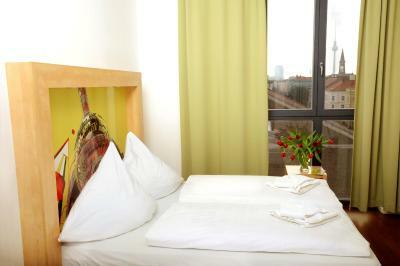 This stylish room features parquet flooring, a flat-screen TV, free WiFi and a private bathroom including a hairdryer. An alarm clock may be borrowed at reception. This room is made up of 2 double rooms with a connecting door. 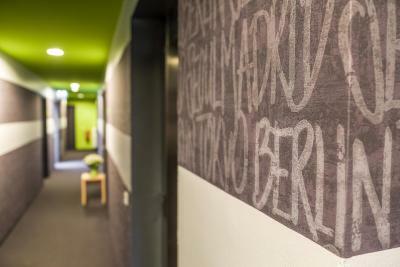 House Rules H+ Hotel 4Youth takes special requests – add in the next step! H+ Hotel 4Youth accepts these cards and reserves the right to temporarily hold an amount prior to arrival. Please note that extra beds and baby cots must be confirmed by the property. 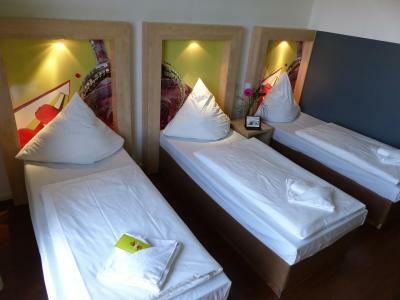 Extra beds may incur additional costs. There’s nothing to complain about. I liked the comfortable bed. I first got a room where was a profound smell of cigarette smoke. I went to reception and after i insisted 3 times i got a different room- a comfort room at the same price. The solution was excelent- it could have been proposed from my first request and not only after i made some discusions about manager complaint or a bad review. In the end everything was perfect. Breakfast could be more varied. Hotel has everything you need, no more, no less. 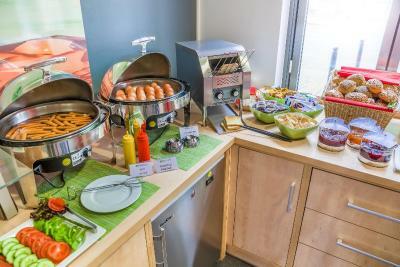 Breakfast is great, it's clean, and location is perfect! My room was in fact a part of the bigger two room (family) suite and was connected by a locked door with the other room. That is not a sound proof solution, so I heard a lot of noise from the connected room which was occupied by a couple. 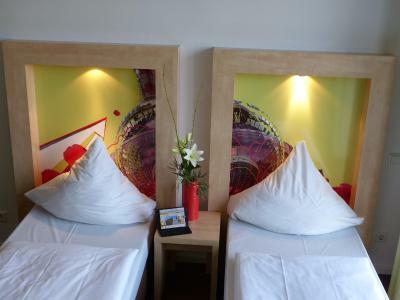 Good location, relatively quiet place even though located at a busy street. Simple but very clean small room. Breakfast is fine for 3* hotel and was included into booking (that was a nice surprise). 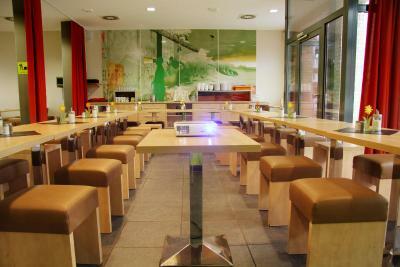 Variety of cafes and restaurants in close proximity. 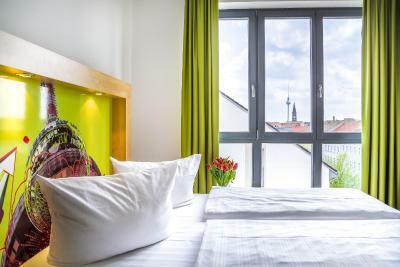 Overall, good place for a short stay in the city. Excellent value for money. It would be great if there is kettle in the room. The location is great, tram stop is in front of the hotel. 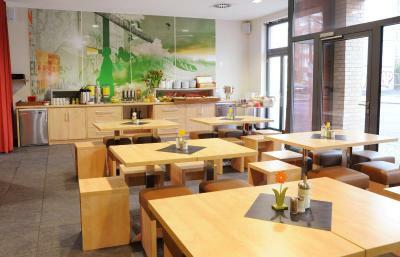 Many restaurants within short walking distance from the hotel. The room is clean and quiet. The staff at the desk are all helpful. Wi-Fi is excellent. Breakfast is ok. Very good value for money. Wi-Fi was super slow even in comfort rooms. It was about 2mbits. Not enough to watch most streams. The comfort room which we got after our stay in the standard room was actually a downgrade as far as I can tell. It was smaller and lacked a bath tub. 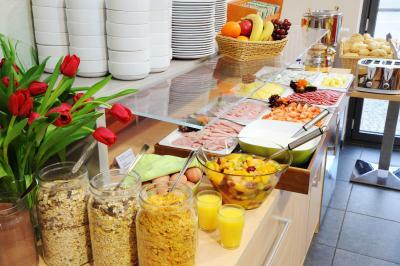 Check-in is uncomplicated and breakfast is nice. 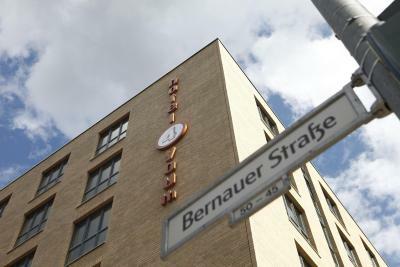 The hotel is good value for money, it's connected very well with public transportation U-Bahn and Tram. Staff is really friendly and helpfull. 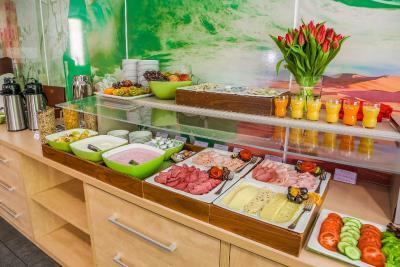 Breakfast has all you might want, from sweet things to salty appetizers and coffee. All in all it is good choice. WE HAD BED BUGS !!!!!!!! UTERRLY DISGUSTING !! !